Good. Text in English, Russian. Trade paperback (US). Glued binding. 848 p. Wadsworth Collection. Audience: General/trade. pages clean no marks, some creases on cover, photo of actual book for sale. prompt dispatch. complete and unabridged. A strange beauty of a book. If this describes Russia and her people, they are quite as much a mystery as before the book was opened. The descriptions of the countryside will make you feel the icy wind, the motives of the players-you will wonder if some people could ever be so self-centered. A little hard to relate to the material luxuries of nobility. This book is an absolute classic and everyone should read it! It's very long (good lord, Tolstoy, calling you long-winded would be the understatement of the year) and there are many Russian names that sound alike and can be confusing, but this book is excellent. Remember that Tolstoy wrote for the masses, not the elite, and you'll gain a wealth of knowledge about Russian life during Tolstoy's day. I was not able to read it since it was in the written in the Russian language. It is probably always best to read authors in their own language, but since I did not have time to learn Russian, I was not able to read it and placed it in the recycle bin. 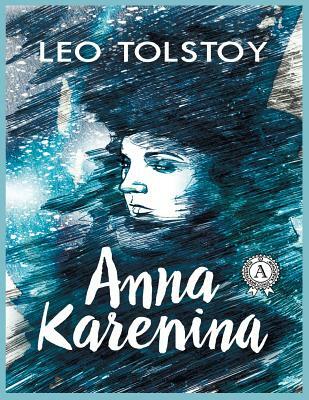 Leo Tolstoy's Anna Karenina is a masterpiece that is both compelling and accessible despite its daunting length. The theme of adultery and its disastrous consequences, including Anna's resultant self-loathing, still has currency. Most novelists are content to do one thing well, but Tolstoy's mastery and novelistic skills are manifold: his intimate knowledge of characters, their interaction with society, his rendering of physical action. The horse racing and hunting scenes are thrilling. One almost believes that the word "omniscience" needed to be coined in order to describe Tolstoy's commanding, godlike narrative perspective. Of course most remarkable is Tolstoy's creation of the title character, who with Flaubert's Madame Bovary, is a fully developed, credible female character. In fact Tolstoy's characters have that full dimensionality, what E.M. Forster referred to as "roundness," that is so satisfying to the reader, even observing the bemusement of children in the face of Anna and Count Vronsky's affair. The farmer Levin's marriage to Kitty, his preoccupations with land reform and God, serve as a kind of moral counterpoint to Anna's adultery, and signal the peasant discontent that would overturn the stability of pre-revolutionary, Czarist Russia in the next century. Preceding Anna's suicide, her nervous breakdown prefigures modernist interiority to an uncanny degree. In the end, however, it is Anna's essential tragedy that raises Tolstoy's novel to its deserved classic status.